Here’s an progress update for Inpakt latest raid. Yesterday with a slow start on Iskarr which we managed to kill after about an hour off attempts this has been the second time we have killed him. Mechanics should now be clear and for those who haven’t done him yet, get the Exorsus raid tools addon. It helps greatly with passing the Eye of Anzu, giving you more time to focus on other mechanics and dps. 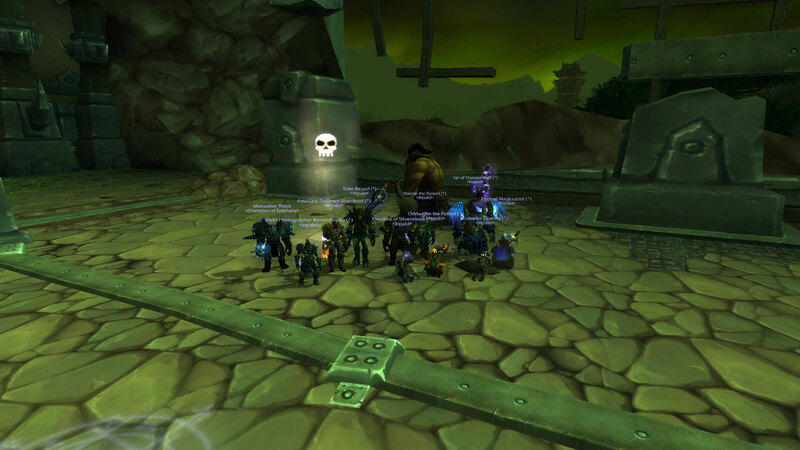 The kill of Iskarr opened up a new Boss, Socrethar. Socrethar is one of these bosses, that when the mechanics are understood he becomes extremely easy. And after a few tries we had him down without much trouble. thus killing Socrethar on the first night! With about an half hour left we decided to give Fel Lord Zakuun a go. First clearing trash and a detailed explanation by and old member Thock, now 5 minutes left we gave him a first try. You need to know that Zakuun is one of these bosses. That the failure of one single person will wipe the raid, and thus usually requires a few tries for everyone to get the mechanics down. However. With Oddwaffle using his Evanesce and Improved Invisibility to shield the raid from the Wakes of Destruction. Zakuun became the second progress boss to fall this night. With this it marks the progress at 9 kills out of 13 bosses. Which means once they are on farm. Tyrant would be next! © Inpakt	All rights reserved.